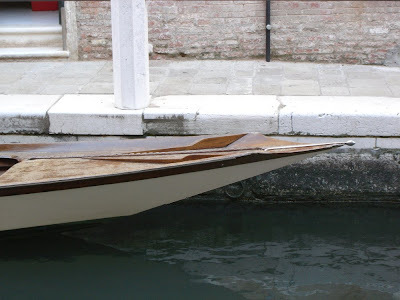 Bob Easton sent us photos of two mascaretas he shot in Dorsoduro in July of '08. 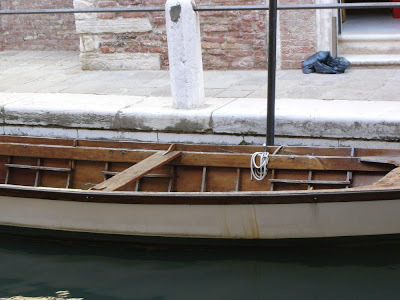 For starters, it's a member of the sandolo family of Venetian boats. Sandoli come in several configurations; each version designed with a separate task in mind. “three sheets and a tiny transom”. My “three sheets” reference doesn’t take into account the deck portions, but it is descriptive enough. 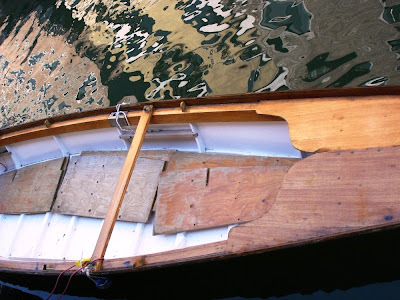 We have a few dories out here in Newport, and I recognize the same beautiful simplicity in the dory design. The mascarete are most easily identified by the way the bow and stern deck cut away with no visible trasto (thwart) and there’s almost always a little cutout in the very middle of that area. but a little more drawn out. 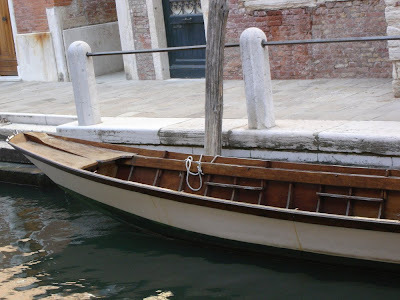 Look around Venice and you’re likely to see a similar “bracket” design in buildings. 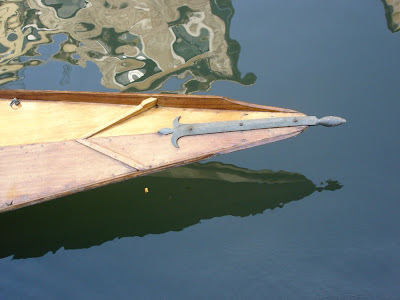 The mascareta is a very lightweight boat used in recreational and competitive rowing. 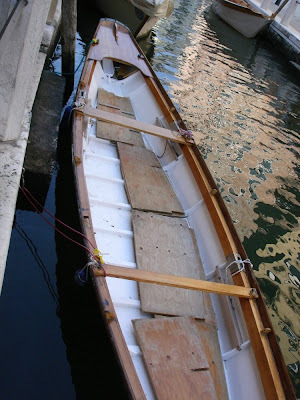 The women's race in the Regata Storica is rowed in these boats. Thanks Bob for these great photos.